A BRITISH expat has miraculously survived after falling from a cruise ship and having to tread water for ten hours before being rescued. Kay Longstaff, who lives on the Costa del Sol, fell overboard the Norweigan Star in Pula, Croatia, on Saturday night. 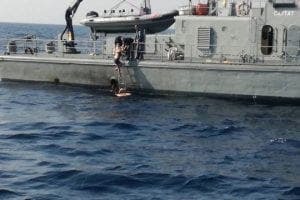 The 46-year-old, who lives in Benalmadena, had to spend the night treading water before she was rescued some 60 miles off the Croatia coast. The former flight attendant for Virgin Atlantic is said to have relied upon her incredible stamina that can be attributed to her yoga practice. 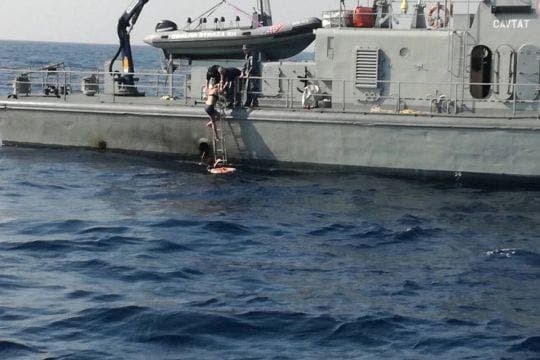 She was eventually pulled from the water at around 9.30am local time yesterday around 1,300 metres from where she plunged into the 20c water. One of her rescuers said: “She said the fact that she practices yoga helped her as she was fit. “And she said she was singing to not feel cold in the sea overnight”. The Norwegian Star cruise ship was heading from Croatia to Venice, Italy. Kay was discharged from Pula hospital with no serious repercussions. 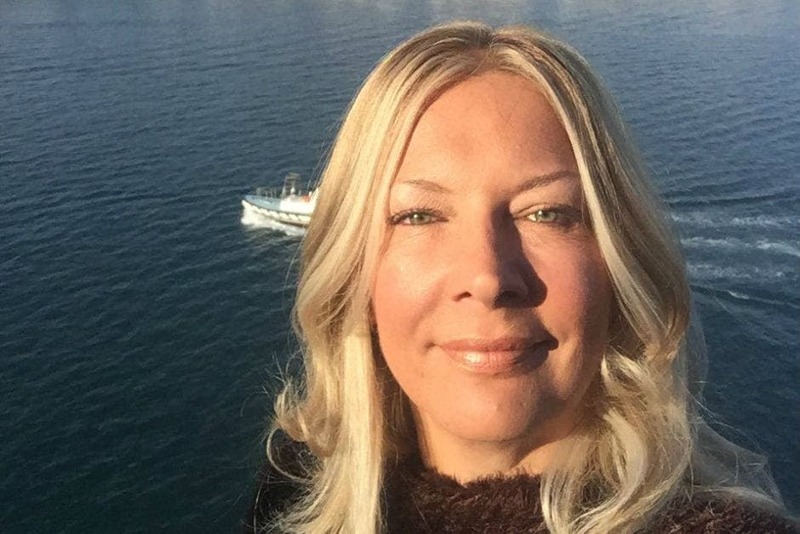 A spokesperson for the Norwegian Cruise Line said: “In the morning of August 19, a guest went overboard as Norwegian Star made her way to Venice. “The Coast Guard was notified and a search and rescue operation ensued. 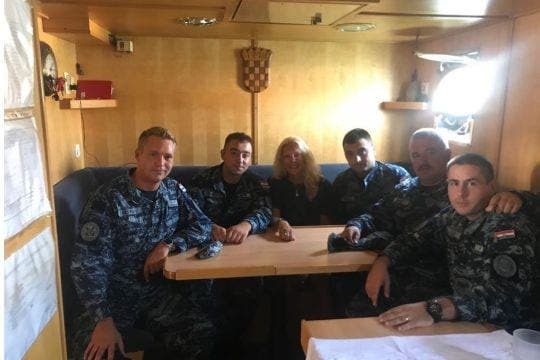 We are pleased to advise that the guest was found alive, is currently in stable condition, and has been taken ashore in Croatia for further treatment. CCTV footage is not clear whether Kay jumped or fell overboard. We have reached out to her for a comment. So what is the full story did she jump, was she pushed or had she had to much Mystery Water! !